Commercially released in the US last summer, the TicWatch Pro ticks pretty much all the necessary boxes to fall into the high-end Apple Watch rival category. 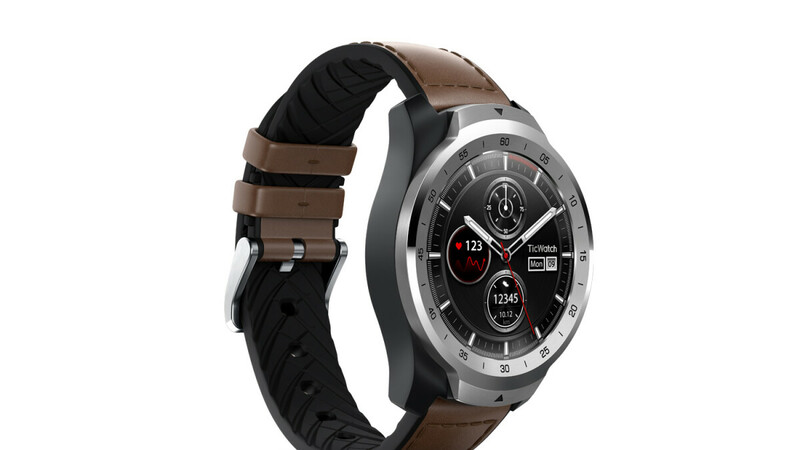 The circular timepiece has built-in GPS technology, NFC support for wrist payments, a heart rate monitor, IP68 water and dust resistance, a large 415 mAh battery, and a sharp 1.39-inch AMOLED touchscreen with 400 x 400 resolution. But there’s also a backup LCD panel that can be used instead of the high-res AMOLED to maximize battery life. We’re talking a full 30 days of endurance between charges, with all the essential data you need to monitor your health and physical activity still in tow. That was quite an interesting proposition at a list price of 250 bucks, but it’s arguably irresistible now that you’re charged $50 less and offered a free TicBand as well. The $50-worth fitness tracker is water-resistant, lightweight, and equipped with both heart rate and sleep monitoring capabilities. You can get the Mobvoi TicBand in gray or gold, paired with a “Shadow Black” or “Liquid Metal Silver” TicWatch Pro. No expiration date is listed for this particular bundle deal, but something tells us it won’t last long.